Engineered with input from operators in the field, the 5.11® Class B PDU® Stryke Shirt takes high performance uniform wear to the next level. Engineered with input from operators in the field, the 5.11® Class B PDU® Stryke Shirt takes high performance uniform wear to the next level. 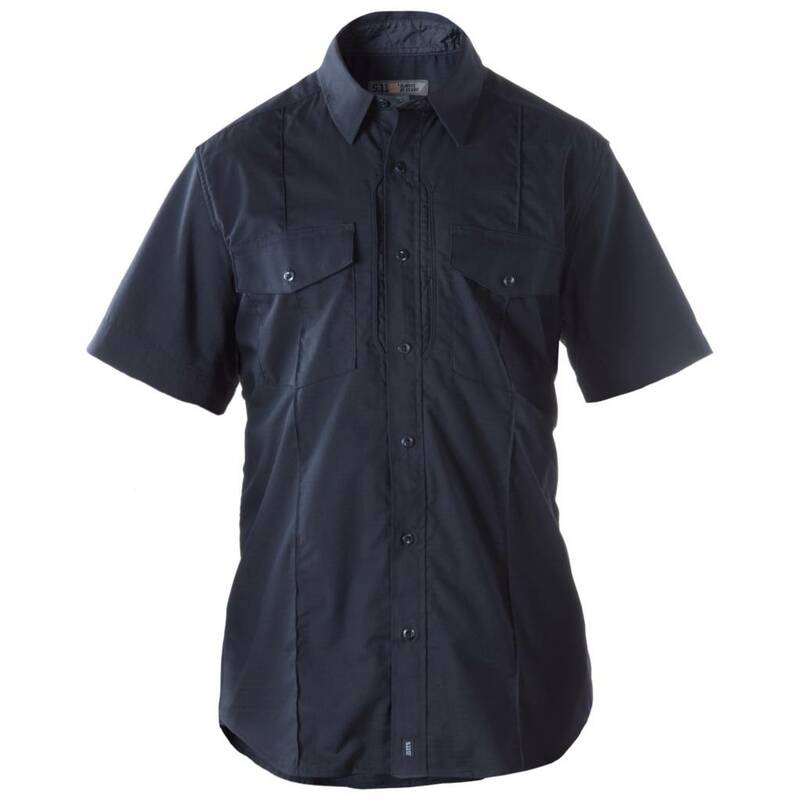 Designed to stand up to consistent use in harsh duty environments, the Class B PDU Stryke Shirt is crafted from our proprietary 4.84 oz. Flex-Tac® mechanical stretch fabric for outstanding durability and breathable comfort throughout your shift. A Teflon® treatment offers enhanced resistance against stains, spills, and soil, sewn-in military creases and a hidden front zip closure ensure a crisp, professional appearance, and our trademark 5.11 Hidden Document Pockets offer ample covert storage space. Additional features include a mic pass through access and camera/radio loop enforcement kit, an epaulette kit, and an integrated badge tab.